The Houston Rockets could be headed toward a rematch with the defending champion Golden State Warriors. But first, they have to take care of another rematch in the first round of the 2019 NBA Playoffs. Fourth-seeded Houston opens against a familiar and stubborn foe in the No. 5-seed Utah Jazz, who gave them fits in the playoffs last season. Game 1 takes place on Sunday night at 9:30 p.m. ET from the Toyota Center. The stylistic contrast features Houston’s second-rated offense, led by James Harden, going up against Utah’s rugged second-ranked defense. Both clubs come into the NBA Playoffs 2019 with momentum, as Houston won 11 of its last 14, while Utah finished with a 13-3 mark in its final 16 regular-season contests. Houston is a 6.5-point favorite and the over-under for total points scored is 212.5 in the latest Jazz vs. Rockets odds, down sharply from an open of 219. Before you lock in your Rockets vs. Jazz picks, listen to what the SportsLine Projection Model has to say. The Rockets boast the NBA’s second-rated offense and James Harden has made a case for repeating as MVP. He is averaging 36.1 points, 6.6 rebounds and 7.5 assists. He had 43 points and 12 rebounds in a 125-98 win at Utah on Feb. 2 the last time the clubs met. 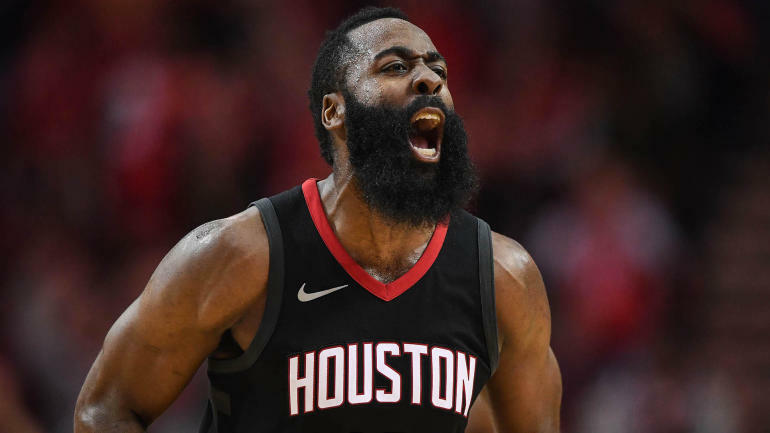 Even so, Houston isn’t guaranteed to cover the Rockets vs. Jazz spread in Game 1 on Sunday against a Utah team that came on strong as the NBA Playoffs 2019 approached. Utah’s defense has had success slowing down the Rockets. Houston scored just 99 points per 100 possessions against the Jazz, its lowest output against a Western Conference opponent. The first three meetings between these teams ended up accounting for three of Houston’s eight worst offensive outputs of the season. Derrick Favors has been one of the top post defenders in the NBA this season, but his health could be an issue in this series. He missed four of the last five regular-season games because of back spasms. If he is limited, the Jazz will have to go to a smaller lineup in order to match Houston’s personnel, but will sacrifice quite a bit on the defensive end.